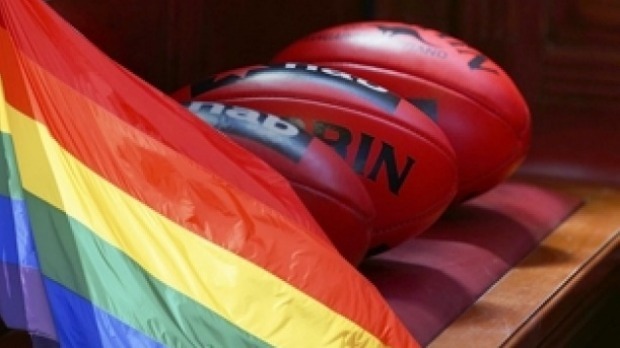 Homophobes & bigots limber-up for the AFL’s Pride Round – are they a dying breed or on the rise in society? Public support for marriage equality has dramatically risen. But just how rampant is homophobia in the sports-attending population; have hearts and minds changed? If so, by how much; if not, why not? Research from 2005 revealed Melbourne’s Inner City to be least homophobic (14 per cent) and the Outer South & East suburbs the most. Outside Victoria, the study identified the three most and three least homophobic areas of Australia. Overall the most homophobic areas were the Moreton area of country Queensland (excluding the Gold Coast and Sunshine Coast), Central/South-West Queensland and the Burnie/Western district of Tasmania where 50 per cent believed homosexuality is immoral. Following Melbourne’s Inner City as least homophobic Australian metropolitan areas were Central Perth (21 per cent) and Central Melbourne (26 per cent). The Anti-Violence Project is encouraging the AFL, LGBTI community organisations and the state government to use the pending AFL Pride match in June to see how much has changed in the hearts and minds of people leaving their suburban lounge-rooms to attend AFL football matches around the nation since the 2005 research.